A lot of blue in this post! First, you cut three identical pieces. will be the frontmost piece. I rounded off the corner too. 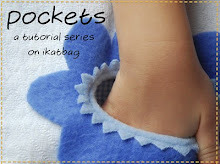 Next, you embellish them - add pockets, etc. Then you line them up side-by-side, and sew them together. (hooks and eyes or snaps or buttons). light and probably overdid the editing to compensate. I thought I'd try making a fabric button for decoration. in the instructions on the back of the button kit. (just the panel with the pockets). You don't need to. I'm just silly fussy that way. 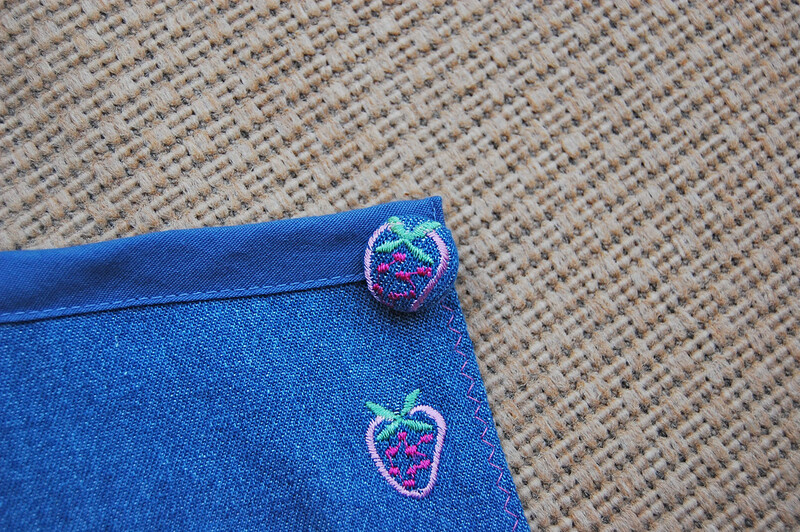 no hemming and no need to embellish! 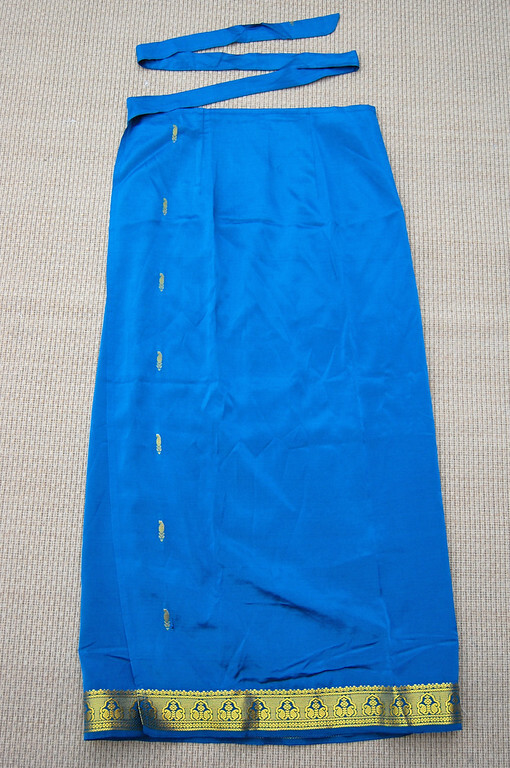 Such a fun skirt - instant sari! to move on to the Summer Dress series, so maybe I won't. Especially since I haven't actually made any before! These tutorials are great! Thanks. I'd love to see one for skorts too. They'd be good for my granddaughter. oh yes, please, some skort (culottes) tutorials ! nobody seems to sell culottes in s'pore nowadays....TIA ! Ooh, I'd love to see one for skorts, too! 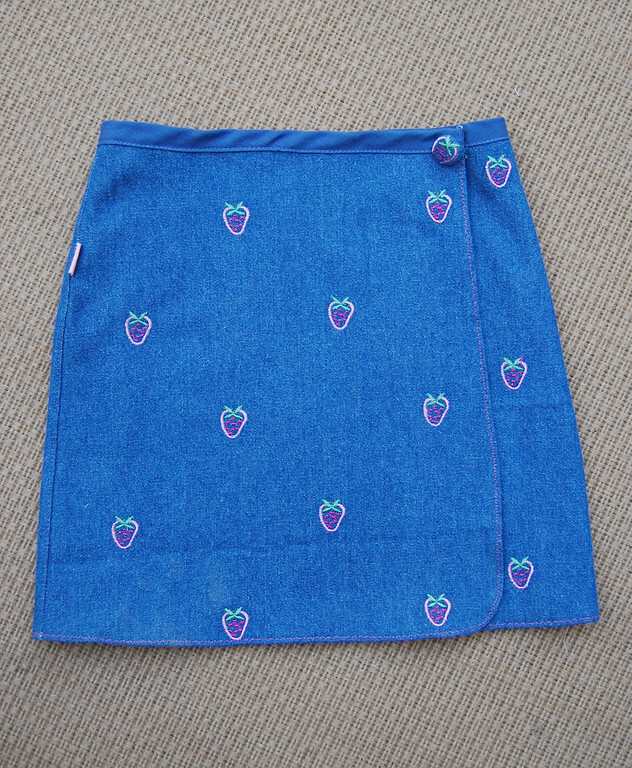 I've been intending to add shorts inside the next skirt I make (for the girls, not for me!). love the skirts, skorts would be cute too, my daughter has two older brothers so she needs some help in the modesty department. 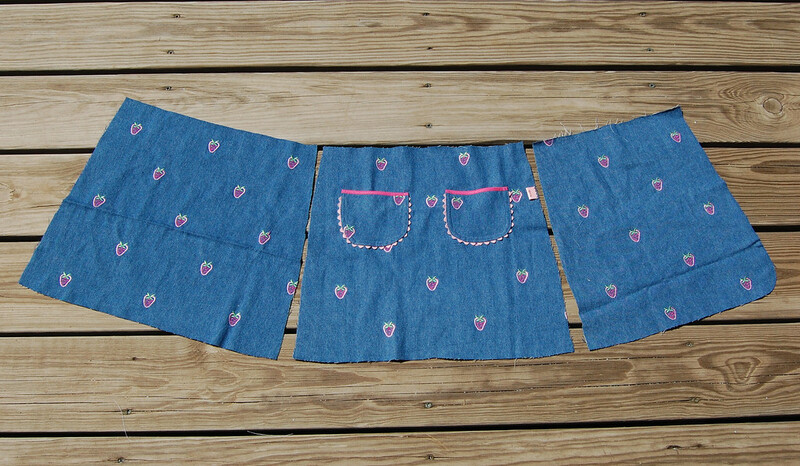 Instead of skorts, I've been thinking of making some sort of "bloomers" or "spanks" for my girls to wear under their skirts. (Because I'm lazy and would rather make 2-3 that they could wear with any of their skirts/dresses...) They'd need to be slimmer/tighter than the shorts the girls usually wear, possibly even slightly elasticized at the bottom hems, but still comfortable for playing, climbing, etc. Any ideas on this, L? Skorts in the works, people! K: Bloomers are great! I can't think of anything else that would work, apart from something like biker's tights. What about buying lycra-cotton and sewing a snug pair of shorts? Not tight like tights, but just close-fitting? Sort of like the shorts that come in a 3-pc Carter's PJs set. Sometimes that's what my girls (not kate) wear under their skirts. Horribly clashing colors, of course, but at least modest. Thank you, thank you for the great tutorials! I have 4 daughters and just finished the 2nd wrap skirt! 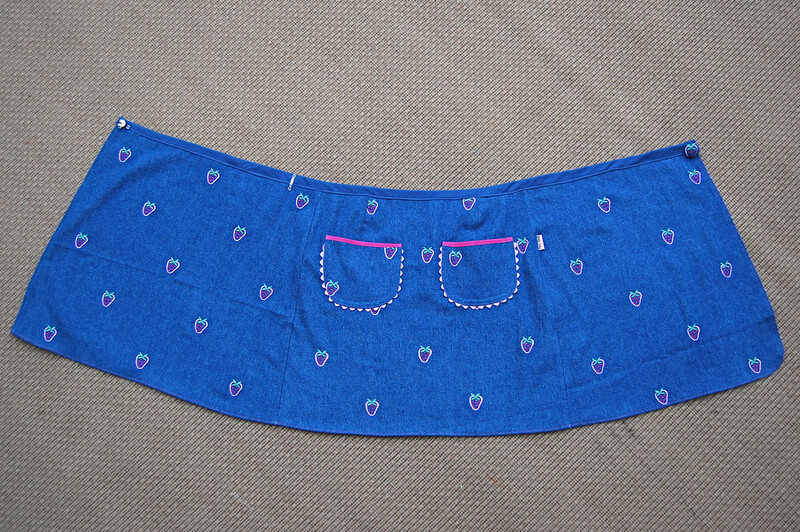 Too cute, but I can't get it to look like yours... the front flap is only reaching 1/2 way (only cut 10% off on the 2nd skirt)... do the side seams not go down the sides of the hips, or is the seam off set? I have had to put elastic in the back, because there is so much fabric at the waist, yet there doesn't seem to be enough fabric at the hips, to really wrap around much. I know you are busy being a Mom, who sews beautifully & bites buttons (your description was so funny), but if you have a moment, I would love your advice!! Hi Kristy - I hope you've subscribed to the comments so you can read this! I couldn't find your email address so I'm leaving my comment here. I'm sorry your skirts aren't cooperating with you! 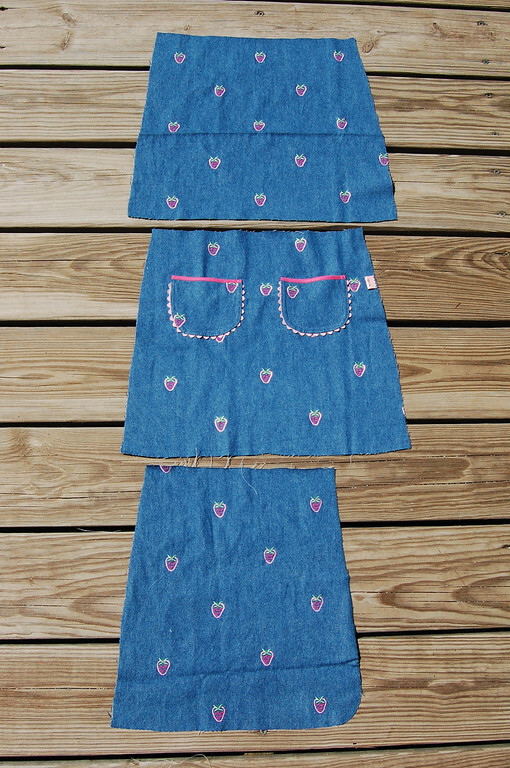 When I sew these skirts, they eventually sit lower on my daughter's hips. I think that's how they compensate for not having darts at the waist. From those measurements you sent, it sounds like maybe some small darts at the waist (or the elastic you added) would help. As I mentioned in this post, I added a pair of small darts (1/4"x double fold x 2 darts), so a total of 1" of fabric taken in. Maybe try that? My darts were about 2" long. 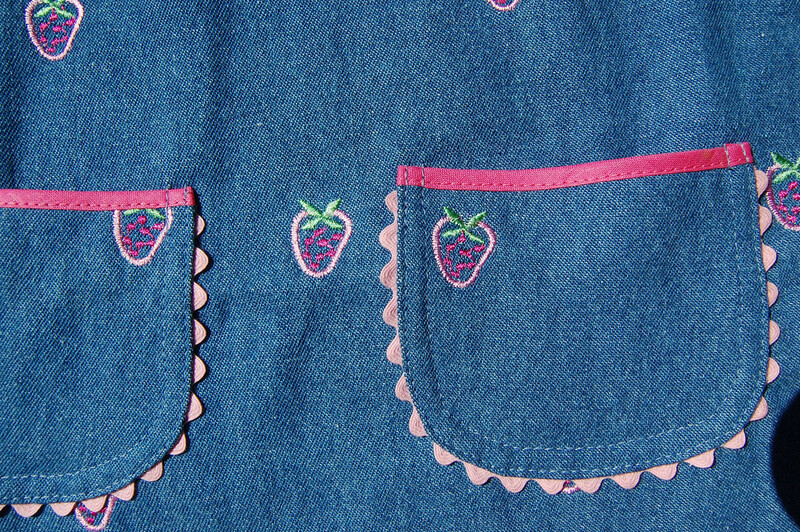 The side seams should go vertically down at the sides of the wearer. Aim to have the skirt fit at the hip (which is the biggest part of the wearer) and then take in the waist with darts or elastic at the back. Your daughter sounds like she's more curvy than Emily (whose clothes just hang on her by some miracle) so adding some darts might help. Thanks for the advice, I'll try the darts on my 7 year old's skirt (already made the 9 yo & 11 yo's skirts). Thank you so much for sharing these sweet patterns!! WooHoo!!!! The third skirt was just the charm, looks like yours, except with bumble bees!! Finally figured what I was doing wrong... I had put the Hip measurement calculation on the hemline, instead of at the hip level mark ... no wonder there didn't seem to be enough fabric to go around & the seams weren't straight down the legs!!! 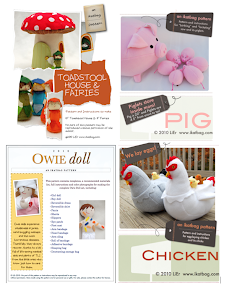 Never have I drafted a pattern, newbie mistake! Thank you so much for posting this too cute skirts!!!!!! Hurrah, Kristy! High-fives! So glad the skirt is working for you now! I've just made this as a wrap skirt, turned out great! Thankyou for the pattern. My 25-year old daughter wanted a short, fun wrap skirt out of some cute fabric she'd found. She sent me your instructions and we whipped one out today. So, just over 8 years after your original post, it's still very useful. Good job!